Bio: Born and raised in Stockholm, Anna Sörenson received her BFA from Umeå University in Sweden. In 2012, Anna received her MFA from Pratt Institute, New York supported by her Fulbright Scholarship. 2014 she graduated from a.pass, a yearlong post-master program in performance art in Brussels, Belgium. Since 2012 she is represented by Ed Varie in New York City. She has exhibited her work in Stockholm, Brussels, Berlin, Paris, Mexico City, Miami and New York. She currently lives and works in Stockholm together with artist Daniel Rydh. They work collectively as artist duo Rydh/Sörenson and have exhibited their work in Brussels, Berlin, Faroe Islands, Spokane, Stockholm, Los Angeles and New York. 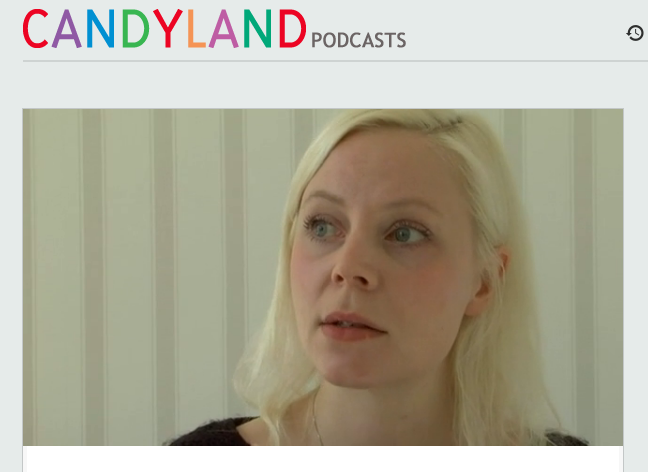 CANDYLAND Stockholm’s podcast series on art visited me in Stockholm to talked about my performance ”Your Application is Pending”. Watch the full video on vimeo, itunes or CANDYLAND’s website.